The obligatory pitchers’ BP photo for Derrick, a right-handed slugger at the plate, and a left-handed artist on the mound. Pretty good outfield football player too. Former Orioles & Athletics outfielder Jeff Fiorentino will return to York to start the 2013 season, in search of his next MLB contract. 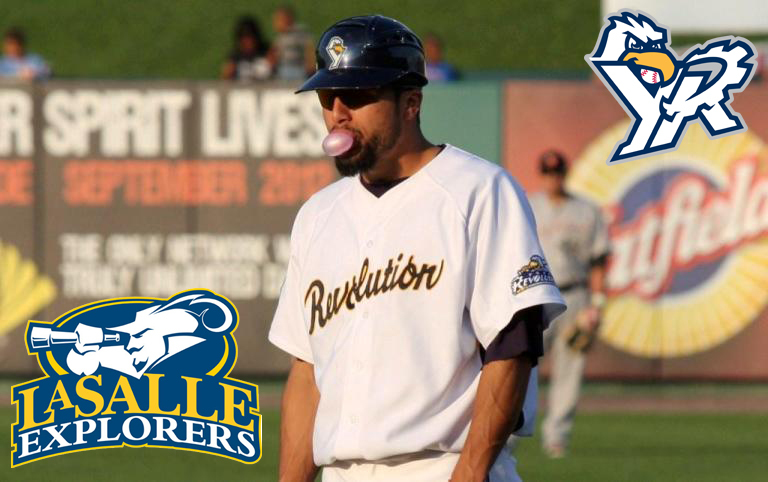 The York Revolution continue to build their 2013 roster, with two more key signings made official. Outfielder Jeff Fiorentino will return to York this season, while right-handed pitcher Matt Fox is penciled into a spot in the starting rotation. The signings were announced by Revs manager Mark Mason. 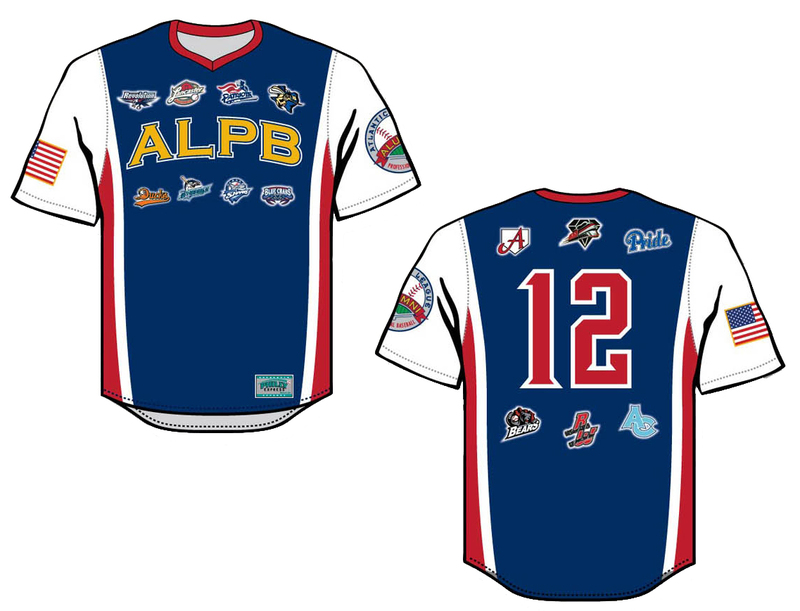 Yes, we’ve really designed a jersey with the logo of every Atlantic League team, past and present. One of the all-time greats in York Revolution history, center fielder Scott Grimes has announced his retirement from baseball as a player after eight professional seasons, the last three of which were spent in York. Grimes has accepted an assistant coaching position at the Division I level with LaSalle University in Philadelphia, and begins the next phase of his career today as LaSalle opens its season in Cary, NC at the USA Baseball Complex Classic. Grimes caps his time in York, leaving the Revolution as the franchise’s all-time leader in games played (357), runs scored (298), at-bats (1,350), hits (374), extra-base hits (128), triples (13), total bases (605), stolen bases (69), and walks (205). He ranks second all-time in home runs (45), third in doubles (70), and fifth in RBI (155). Former Revolution catcher and Atlantic League veteran Octavio Martinez was like countless other players; he battled the odds through a long minor league career including time at Triple-A, but never received the call to the big leagues. While his playing days may technically be over, Martinez will now get to live the big league lifestyle that eluded all of those other players. 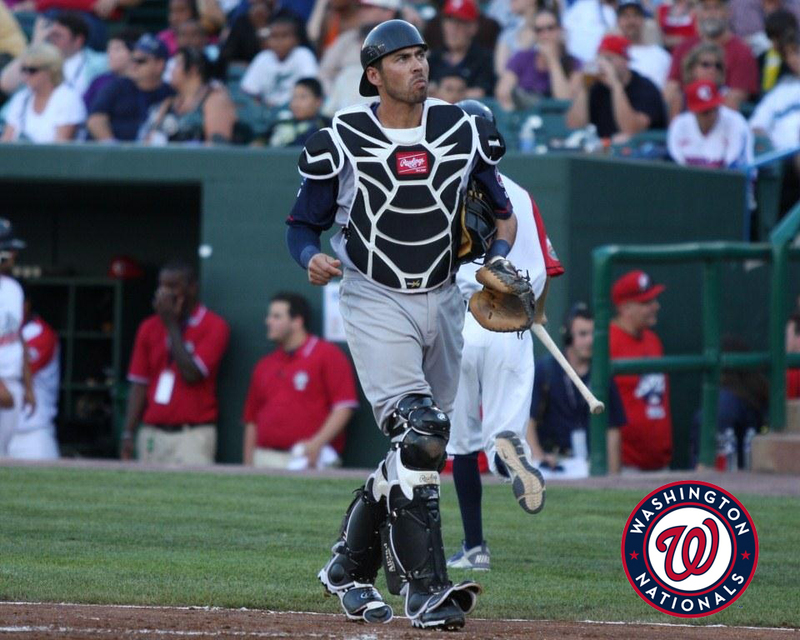 After catching in 83 games last year for the Sugar Land Skeeters, Martinez has been hired by the Washington Nationals as their bullpen catcher. If you go to a game, home or road involving the Nationals this season, you’ll see Octavio suited up and rubbing elbows with the likes of Stephen Strasburg, Bryce Harper, Ryan Zimmerman and oh, let’s say Roger Bernadina along with the rest of the defending National League East Champions. In the Majors, the bullpen catcher is a signifcant part of a team’s coaching staff, and truly helps out in all areas in addition to catching bullpens pre-game and during the game. Not to put words in Octavio’s mouth or anything, but it’s hard to imagine a better post-playing career job. It’s hard to say he’s retired considering he’ll be breaking a sweat at the ballpark everyday, and his expertise after 14 professional seasons behind the plate will be of good use to the Nationals pitching staff. Originally drafted by the Orioles out of Bakersfield College in 1999, Martinez was with the O’s through the 2005 season. 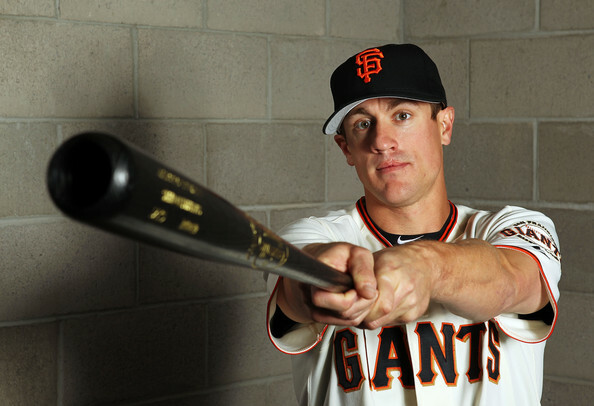 He spent 2006 with the Pirates and 2007 with the Dodgers, and garnered Triple-A time with Baltimore and L.A. He played in the Atlantic League from 2009-on, spending a full season with Southern Maryland before being traded to Lancaster mid-way through 2010. 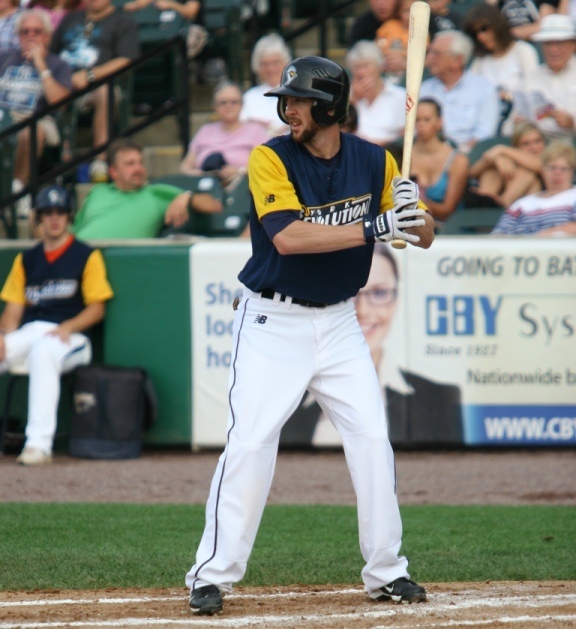 In 2011 he signed with York and spent the entire season with the Revolution, before being selected by the Sugar Land Skeeters in the 2012 expansion draft. It’s been a pretty good 12 months for Octavio, who also had the opportunity to catch Roger Clemens on national TV with Sugar Land last August. In 2011, Martinez was unfairly ridiculed by his York teammates for his lone home run of the season being wind-aided at Long Island. Now would be a good time to point out that he has 23 career home runs. And since the Nationals are probably going to win the World Series this year, he’ll have a big fat World Series ring to put next to his 2011 Atlantic League Championship ring. 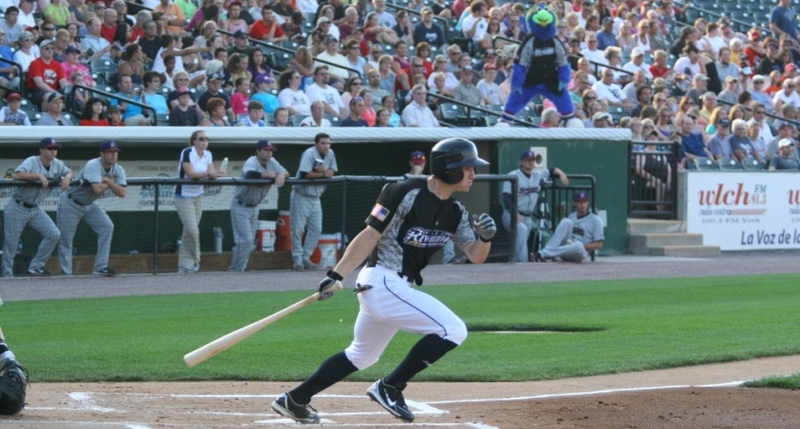 In this week’s edition, we re-visit the story of Revolution outfielder Brandon Haveman, who joined York after being released by the Lancaster Barnstormers last season. This column about him ran in edition number 8 of the York Revolutionary Times in case you missed it at the ballpark. 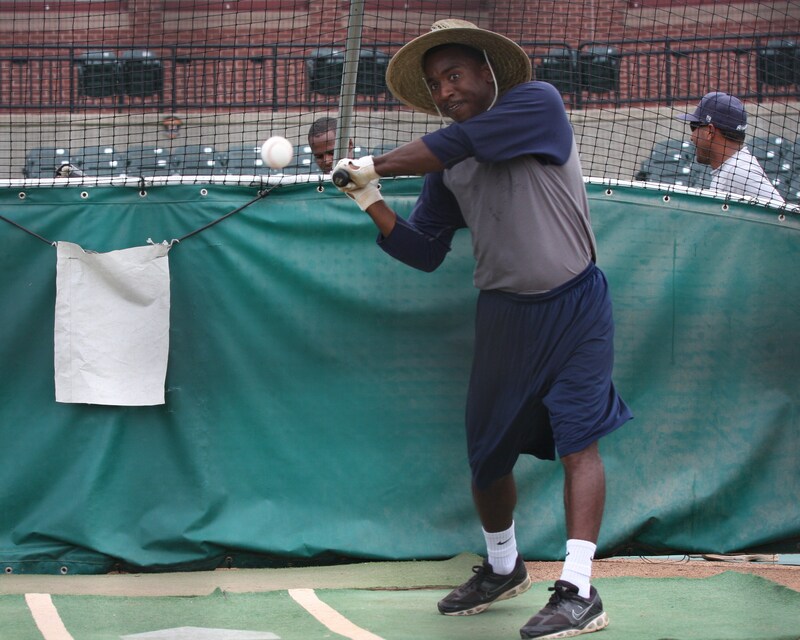 OK – so York Revolution outfielder Brandon Haveman has been mistaken a couple of times for the team batboy in his career. It’s also true that his youthful appearance combined with his 5-9, 165-pound frame led to hometown fans chanting “tee-ball, tee-ball” whenever he came up to bat when he was with the Pulaski Mariners in his first minor league season in 2009. While Haveman may not possess the super-sized athletic build scouts and front-office types covet in a guy who earns a living playing professional baseball, his physical stature hasn’t kept him from making an oversized impact since joining the Revs on May 24. York was sputtering along with an 8-16 record at the time, in last place in the Freedom Division and manager Andy Etchebarren was busy looking for someone who could provide a positive spark for his struggling team.